I admit it. I'm a bit of a perfectionist. Especially when it comes to Christmas and photos. 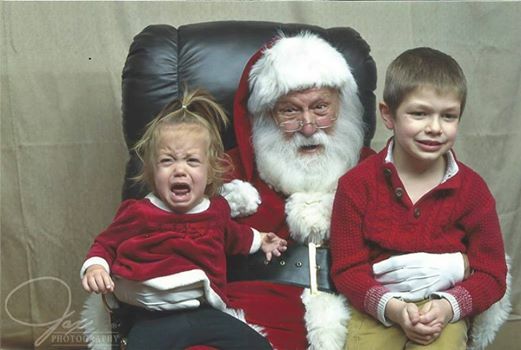 I want to have the perfect photo of my kids to send out with Christmas cards or post on Facebook. This year it led to a crazy journey! Santa loves our new town very much, so we had the opportunity to see him four times. Each time we tried for the perfect photo and failed. The last one, however, everyone agreed is a classic. Enjoy! 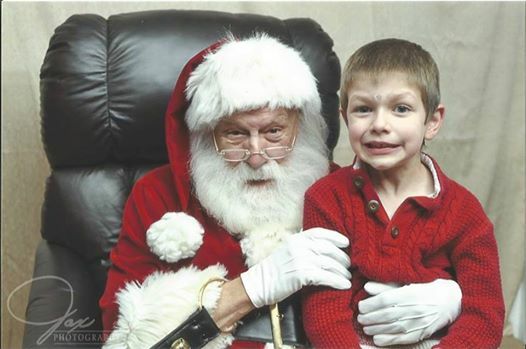 Santa is very surprised by something. "It's the big man in the red suit, nooo!!!"